The total eclipse will be from Jefferson City, MO to Nashville, TN. We plan to have some riders attend. Register here to be included in last minute information. We might just drive up to MO boot heel for the day if we can't find a room. 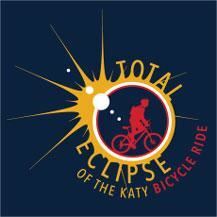 The Katy Trail Ride is full.